Arthritis is a form of joint disorder that involves inflammation of one or more joints. There are over 100 different forms of arthritis.The most common form of arthritis is osteoarthritis (degenerative joint disease), a result of trauma to the joint, infection of the joint, or age. Other arthritis forms are rheumatoid arthritis, psoriatic arthritis, and related autoimmune diseases. Septic arthritis is caused by joint infection. 2014 - Study ~ Expression of cannabinoid receptor 2 and its inhibitory effects on synovial fibroblasts in rheumatoid arthritis. 2014 - Study ~ Involvement of the endocannabinoid system in osteoarthritis pain. 2013 - Study ~ Electroacupuncture inhibition of hyperalgesia in rats with adjuvant arthritis: involvement of cannabinoid receptor 1 and dopamine receptor subtypes in striatum. Associated with Osteoarthritis of the Knee Joint. 2013 - Study ~ Selective Cannabinoid Receptor Type 2 (CB2) Agonists: Optimization of a Series of Purines Leading to the Identification of a Clinical Candidate for the Treatment of Osteoarthritic Pain. 2013 - Study ~ Osteoarthritis pain mechanisms: basic studies in animal models. 2013 - Study ~ Cannabinoid WIN-55,212-2 Mesylate Inhibits Interleukin-1β Induced Matrix Metalloproteinase and Tissue Inhibitor of Matrix Metalloproteinase Expression in Human Chondrocytes. 2012 - Study ~ Platelet-rich plasma loaded hydrogel scaffold enhances chondrogenic differentiation and maturation with up-regulation of CB1 and CB2. 2012 - Study ~ Lack of effect of chronic pre-treatment with the FAAH inhibitor URB597 on inflammatory pain behaviour: evidence for plastic changes in the endocannabinoid system. 2012 - Study ~ Cannabinoids: novel therapies for arthritis? 2012 - Study ~ The effects of peptide and lipid endocannabinoids on arthritic pain at the spinal level. 2012 - Study ~ Role of CB1 and CB2 cannabinoid receptors in the development of joint pain induced by monosodium iodoacetate. electroacupuncture on experimental arthritis of the rat temporomandibular joint. 2011 - Study ~ The abnormal cannabidiol analogue O-1602 reduces nociception in a rat model of acute arthritis via the putative cannabinoid receptor GPR55. 2011 - News ~ Echinacea & Arthritis. 2011 - News ~ Medical Reasons for Marijuana. 2010 - Study ~ Tissue Engineering of Cartilage; Can Cannabinoids Help? 2010 - Study ~ Tonic modulation of spinal hyperexcitability by the endocannabinoid receptor system in a rat model of osteoarthritis pain. 2010 - Study ~ Local application of the endocannabinoid hydrolysis inhibitor URB597 reduces nociception in spontaneous and chemically induced models of osteoarthritis. 2010 - Study ~ Paradoxical effects of the cannabinoid CB2 receptor agonist GW405833 on rat osteoarthritic knee joint pain. 2009 - Study ~ Ajulemic acid, a synthetic cannabinoid, increases formation of the endogenous proresolving and anti-inflammatory eicosanoid, lipoxin A4. 2009 - News ~ How Hemp Seed Oil Can Help Your Arthritis. 2009 - News ~ Medical Marijuana and Reiter's Syndrome. 2009 - News ~ Medical Marijuana and Arthritis. 2009 - News ~ Medical Marijuana and Arthritis (Rheumatoid). 2009 - News ~ Medical Marijuana and Post-traumatic arthritis. 2009 - News ~ Medical Marijuana and Degenerative Arthritis. 2009 - News ~ Medical Marijuana and Degenerative Arthropathy. 2008 - Study ~ In vivo effects of CB2 receptor-selective cannabinoids on the vasculature of normal and arthritic rat knee joints. 2008 - Study ~ Cannabinoid-mediated antinociception is enhanced in rat osteoarthritic knees. 2008 - Study ~ CB2 cannabinoid receptor agonist JWH-015 modulates human monocyte migration through defined intracellular signaling pathways. 2008 - Study ~ Suppression of human macrophage interleukin-6 by a nonpsychoactive cannabinoid acid. 2008 - Study ~ Ajulemic acid, a nonpsychoactive cannabinoid acid, suppresses osteoclastogenesis in mononuclear precursor cells and induces apoptosis in mature osteoclast-like cells. 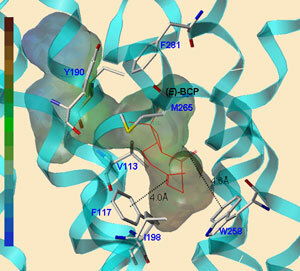 2008 - News - Anti-inflammatory compound from cannabis found in herbs. 2007 - Study - Suppression of fibroblast metalloproteinases by ajulemic acid, a nonpsychoactive cannabinoid acid. 2007 - Study - The antinociceptive effect of Delta9-tetrahydrocannabinol in the arthritic rat involves the CB(2) cannabinoid receptor. 2007 - Study - Synergy between Delta(9)-tetrahydrocannabinol and morphine in the arthritic rat. 2007 - Study - In vivo effects of CB2 receptor-selective cannabinoids on the vasculature of normal and arthritic rat knee joints. 2007 - Study ~ Arthritis and pain. Future targets to control osteoarthritis pain. 2007 - Study ~ INHIBITORY EFFECT OF CANNABINOID AGONISTS ON CYTOKINE PRODUCTION IN HUMAN OSTEOARTRITHIC AND RHEUMATOID FIBROBLAST-LIKE SYNOVIOCYTES. 2006 - Study - Preliminary assessment of the efficacy, tolerability and safety of a cannabis-based medicine (Sativex) in the treatment of pain caused by rheumatoid arthritis. 2006 - Study ~ Arthritis and cannabinoids: HU-210 and Win-55,212-2 prevent IL-1alpha-induced matrix degradation in bovine articular chondrocytes in-vitro. 2006 - Study ~ SAFETY AND TOLERABILITY OF LONG-TERM TREATMENT WITH A CANNABIS-BASED MEDICINE (SATIVEX) IN PATIENTS WITH RHEUMATOID ARTHRITIS. 2006 - Letter ~ The use of a cannabis-based medicine (Sativex) in the treatment of pain caused by rheumatoid arthritis. 2005 - Study ~ Ajulemic acid (IP-751): Synthesis, proof of principle, toxicity studies, and clinical trials. 2005 - News - Rheumatoid arthritis, Cannabis based medicine eases pain and suppresses disease. 2005 - News - Pot-Based Drug Promising for Arthritis. 2005 - News ~ Cannabis-Based Drug Relieves Arthritis Pain. 2005 - News ~ First study to use a cannabis-based medicine for treating rheumatoid arthritis. 2005 - News ~ Cannabis-based medicine relieves the pain of rheumatoid arthritis and suppresses the disease. 2004 - Study ~ A novel synthetic, nonpsychoactive cannabinoid acid (HU-320) with antiinflammatory properties in murine collagen-induced arthritis. 2003 - Study ~ Cannabidiol-transdermal delivery and anti-inflammatory effect in a murine model. 2003 - News - Cannabis May Suppress Immune System. 2002 - Study - The nonpsychoactive cannabis constituent cannabidiol is an oral anti-arthritic therapeutic in murine collagen-induced arthritis. 2001 - Study ~ Anandamide activates peripheral nociceptors in normal and arthritic rat knee joints. 2000 - Study - US Patent 6132762 - Transcutaneous application of marijuana. 2000 - Study - Immunoactive cannabinoids: Therapeutic prospects for marijuana constituents. 2000 - News ~ Marijuana Extract Helps Arthritis Pain. 1973 - Study ~ ANTI-EDEMA AND ANALGESIC PROPERTIES OF Δ9-TETRAHYDROCANNABINOL (THC). Preliminary assessment of the efficacy, tolerability and safety of a cannabis-based medicine (Sativex) in the treatment of pain caused by rheumatoid arthritis. Rheumatology Advance Access published on November 9, 2005. Cell-based experiments or in vivo animal testing suggest that regulation of the endocannabinoid circuitry can impact almost every major function associated with the immune system. These studies were assisted by the development of numerous novel molecules that exert their biological effects through the endocannabinoid system. Several of these compounds were tested for their effects on immune function, and the results suggest therapeutic opportunities for a variety of inflammatory diseases such as multiple sclerosis, rheumatoid arthritis, inflammatory bowel disease, atherosclerosis, allergic asthma, and autoimmune diabetes through modulation of the endocannabinoid system. Center for Drug Discovery,Northeastern University, 360 Huntington Avenue, 116 Mugar Hall, Boston,MA, 02115, USA. Royal National Hospital for Rheumatic Diseases, Bath, 1Cannabinoid Research Institute, Oxford Science Park, Oxford, 2Department of Rheumatology, Northampton General Hospital, Northampton and 3Department of Rheumatology, Selly Oak Hospital, Birmingham, UK. Revision received October 5, 2005. Objectives. To assess the efficacy of a cannabis-based medicine (CBM) in the treatment of pain due to rheumatoid arthritis (RA). Methods. We compared a CBM (Sativex) with placebo in a randomized, double-blind, parallel group study in 58 patients over 5 weeks of treatment. The CBM was administered by oromucosal spray in the evening and assessments were made the following morning. Efficacy outcomes assessed were pain on movement, pain at rest, morning stiffness and sleep quality measured by a numerical rating scale, the Short-Form McGill Pain Questionnaire (SF-MPQ) and the DAS28 measure of disease activity. Results. Seventy-five patients were screened and 58 met the eligibility criteria. Thirty-one were randomized to the CBM and 27 to placebo. Mean (s.d.) daily dose achieved in the final treatment week was 5.4 (0.84) actuations for the CBM and 5.3 (1.18) for placebo. In comparison with placebo, the CBM produced statistically significant improvements in pain on movement, pain at rest, quality of sleep, DAS28 and the SF-MPQ pain at present component. There was no effect on morning stiffness but baseline scores were low. The large majority of adverse effects were mild or moderate, and there were no adverse effect-related withdrawals or serious adverse effects in the active treatment group. Conclusions. In the first ever controlled trial of a CBM in RA, a significant analgesic effect was observed and disease activity was significantly suppressed following Sativex treatment. Whilst the differences are small and variable across the population, they represent benefits of clinical relevance and show the need for more detailed investigation in this indication. J Cell Biochem. 2007 Jan 1;100(1):184-90. Johnson DR, Stebulis JA, Rossetti RG, Burstein SH, Zurier RB. Department of Medicine, Division of Rheumatology, University of Massachusetts Medical School, Worcester, Massachusetts 01655, USA. Production of matrix metalloproteinases (MMP) in joint tissue of patients with inflammatory arthritis facilitates cartilage degradation and bone erosion, and leads to joint deformities and crippling. Thus, MMPs are important targets for agents designed to treat inflammatory arthritis. Oral administration of ajulemic acid (AjA), a synthetic, nonpsychoactive cannabinoid acid, prevents joint tissue injury in rats with adjuvant arthritis. AjA binds to and activates PPARgamma directly. Therefore, we investigated the influence of AjA on MMP production in human fibroblast-like synovial cells (FLS), and examined the role of PPARgamma in the mechanism of action of AjA. FLS, treated or not with a PPARgamma antagonist, were treated with AjA then stimulated with TNFalpha or IL-1alpha. Release of MMPs-1, 3, and 9 was measured by ELISA. The influence of AjA on MMP-3 release from stimulated PPARgamma positive (PPAR+/-) and PPARgamma null (PPAR-/-) mouse embryonic fibroblasts (MEF) was also examined. Addition of AjA to FLS suppressed production of MMPs whether or not PPARgamma activation was blocked. Secretion of MMP-3 was also suppressed by AjA in both TNFalpha- and IL-1alpha-stimulated PPARgamma+/- and PPARgamma-/- MEF. Suppression of MMP secretion from FLS by AjA appears to be PPARgamma independent. Prevention by AjA of joint tissue injury and crippling in the rat adjuvant arthritis model may be explained in large part by inhibition of MMPs. These results suggest that AjA may be useful for treatment of patients with rheumatoid arthritis and osteoarthritis. Eur J Pharmacol 2007 Jun 5. Cannabinoid CB(2) receptors have been implicated in antinociception in animal models of both acute and chronic pain. We evaluated the role both cannabinoid CB(1) and CB(2) receptors in mechanonociception in non-arthritic and arthritic rats. The antinociceptive effect of Delta(9)-tetrahydrocannabinol (Delta(9)THC) was determined in rats following administration of the cannabinoid CB(1) receptor-selective antagonist, SR141716A, the cannabinoid CB(2) receptor-selective antagonist, SR144528, or vehicle. Male Sprague-Dawley rats were rendered arthritic using Freund's complete adjuvant and tested for mechanical hyperalgesia in the paw-pressure test. Arthritic rats had a baseline paw-pressure of 83 +/- 3.6g versus a paw-pressure of 177 +/- 6.42g in non-arthritic rats. SR144528 or SR141716A (various doses mg/kg; i.p.) or 1:1:18 (ethanol:emulphor:saline) vehicle were injected 1 h prior to Delta(9)THC (4mg/kg; i.p) or 1:1:18 vehicle and antinociception determined 30min post Delta(9)THC. AD(50)'s for both antagonists were calculated with 95% confidence limits. In addition, midbrain and spinal cord were removed for determination of cannabinoid CB(1) and CB(2) receptor protein density in the rats. SR144528 significantly attenuated the antinociceptive effect of Delta(9)THC in the arthritic rats [AD(50) = 3.3 (2.7-4) mg/kg], but not in the non-arthritic rats at a dose of 10/mg/kg. SR141716A significantly attenuated Delta(9)THC-induced antinociception in both the non-arthritic [AD(50) = 1.4 (0.8-2) mg/kg] and arthritic rat [AD(50) = 2.6 (1.8-3.1) mg/kg]. SR141716A or SR144528 alone did not result in a hyperalgesic effect as compared to vehicle. Our results indicate that the cannabinoid CB(2) receptor plays a critical role in cannabinoid-mediated antinociception, particularly in models of chronic inflammatory pain. cannabis-based medicine (CBM) for treating rheumatoid arthritis has found that it has a significant effect on easing pain and on suppressing the disease. Nov. 8, 2005 - A spray containing two chemicals extracted from marijuana improved pain and sleep in rheumatoid arthritis (RA) patients, British researchers report. The study, which appears in Rheumatology, was small, brief, and likely the first of its kind, note the researchers. They write that the "encouraging" results warrant larger, longer studies. The spray, called Sativex, is made by GW Pharmaceuticals, the British drug company that funded the study. It is sprayed into the mouth and the medication is absorbed under the tongue or the inside part of the cheek. One of the researchers is GW Pharmaceuticals' medical director. Two others disclose having received honoraria from GW Pharmaceuticals. The study included 58 RA patients. They had no history of psychiatric disorders, substance misuse, epilepsy, or severe heart, kidney, or liver problems. First, patients rated their pain at rest, during movement, and first thing in the morning. They also rated their quality of sleep. Next, the patients were given one of two sprays to use every evening for about a month. Sativex was one of those sprays. The other was an empty spray (placebo). Sativex was given to 31 patients. The other 27 patients got the placebo. No one knew which patients had gotten Sativex. Sativex contains THC (delta-9-tetrahydrocannabinol) and CBD (cannabidiol). Those are key therapeutic compounds in cannabis that have been shown by other studies to produce effects on pain and inflammation, write the researchers. They included rheumatologist David R. Blake of the Royal National Hospital for Rheumatic Diseases in Bath, England. Compared with the placebo group, patients taking Sativex had notable improvements in pain (including pain during movement and pain at rest), sleep quality, and RA disease activity, the researchers report. Morning pain didn't change much but was "surprisingly low" to begin with, write Blake and colleagues. The sprays were only used in the evening to minimize any intoxication. The most common side effects with Sativex were dizziness (eight patients, or 26% of the Sativex group), dry mouth (four patients, or 13%), and lightheadedness (three patients, or 10% of those taking Sativex). Abstract---Two extracts of Cannabis sativa herb, one being cannabinoid--free (ethanol) and the other containing the cannabinoids (petroleum), were shown to inhibit PBQ- induced writhing in mouse when given orally and also to antagonize tetradecanoylphorbol acetate (TPA) -induced erythema of mouse skin when applied topically. With the exception of cannabinol (CBN) and delta-1-tetrahydrocannabinol (delta-1-THC), the cannabinoids and olivetol (their biosynthetic precursor) demonstrated activity in the PBQ test exhibiting their maximal effect at doses of about 100 mcg/kg. Delta-1-THC only became maximally effective in doses of 10 mg/kg. This higher dose corresponded to that which induced catalepsy and is indicative of a central action. CBN produce a 40% inhibition of PBQ-induced writhing. Cannabidiol (CBD) was the most effective of the cannabinoids at doses of 100 mcg/kg. Doses of cannabinoids that were effective in the analgesic test orally were used topically to antagonize TPA-induced erythema of skin. The fact that delta-1-THC and CBN were the least effective in this test suggests a structural relationship between analgesic activity and antiinflammatory activity among the cannabinoids related to their peripheral actions and separate from the central effects of delta-1-THC. Various preparations of Cannabis sativa have been employed for their medicinal effects, including antipyretic, antirheumatic, antiallergic, and analgesic purposes. Extracts of Cannabis have been shown to possess analgesic activity (2, 3), and delta-1-tetrahydrocannabinol (delta-1-THC), the psychoactive component of Cannabis has also been shown to possess this activity in various models. In addition, cannabinol (CBN) but not cannabidiol (CBD) was shown to exhibit analgesic activity in vivo. It is possible that the antiinflammatory and antiasthmatic properties of this herb are mediated through effects on arachidonate metabolism. However, constituents of Cannabis are known to stimulate and inhibit prostaglandin (PG) release by influencing enzymes of this pathway. A cannabinoid or an extract of Cannabis with little or no central effects could be of use therapeutically. In this paper, we have examined the antiinflammatory potential of two extracts of Cannabis, pure cannabinoids and olivetol (a cannabinoid biosynthetic precursor) in two models of inflammation, in an attempt to separate on a structural basis the peripheral from the central action of these phenolic drugs. The folowing were used: aspirin (Sigma Chemical Co., Poole, Dorset. ), tripotassium citrate (analytical grade), all cannabinoids except CBG (Sigma), and CBG (Makor Chemicals, Jerusalem, Israel). Preparation of Drugs: PBQ Test. Cannabinoids and cannabis extracts were suspended in a 1% ethanolic solution containing 2.5% w/v Tween. Aspirin was dissolved in a 40 mg/ml solution of tripotassium citrate. Phenyl Benzoquinone Writhing (PBQ) and Preparation of PBQ Solution. A 0.04% solution of PBQ was prepared immediately before use by dissolving PBQ in warm ethanol and diluting with water at 40 degrees C ( 15) bringing the ethanolic concentration to 5% (16). The bottle was stoppered, foil paper wrapped around it, and the solution maintained at 34 degrees C. Deterioration of the solution occurs if left exposed to light and air. Administration of Drugs. Male CDI male (Charles River) weighing 18-20 g were starved overnight for the experiment. Animals were placed in a thermostatically controlled environment maintained at 34 degrees C. Mice were orally administered test drug 20 min before the intraperitoneal injection of PBQ (4 mg/kg). Five minutes after injection, a hand tally counter was used to record the number of stretching movements for each mouse in a 5-min period. Control animals were only administered the vehicle. Note less than five animals were used per dose. Statistical Analysis. Results are expressed as mean percentage inhibition of control (+SEM) in the case of PBQ test. IC-50s were obtained from graphs relating probit percentage inhibition (ordinate) against log dose (abscissa). The IC-50 is that dose of drug which would inhibit PBQ-induced writhing by 50%. Tetradecanoyl phorbol-acetate-induced (TPA) Erythema of Mouse Ear. In order to exclude the possibility of a central mechanism of action (see Discussion), compounds also were tested for their ability to inhibit TPA-induced erythema on mouse ears in 100% of the animals was chosen as the challenging dose for inhibition studies, measured 4 h after application. Test drugs were dissolved in ethanol and 5 ul applied to the inner ear of the mouse 15 min before the application of 1 mcg TPA in 5 ul acetone. Only one dose of test dug was used for this experiment, 100 mcg/mcl ethanols, except trifluoperazine at 1 mg/5 ul. The other ear acted as a control. The results were expressed as percentage inhibition, taken to mean the complete suppression of erythema in the test animals, as described in reference 19. Delta-1-THC was fully effective only at concentrations above 10 mg/kg Figure 2). The ethanolic and petroleum extract, CBD, olivetol, CBG, and cannflavon were more potent than aspirin. The petroleum spirit extract was about four times more potent than the ethanolic extract, which was virtually equipotent with CBD. Cannflavon, isolated from the ethanolic extract was 14 times less potent than the ethanolic extract of the dried herb (Table 2). TPA-Induced Erythema. In general, the ability of compounds to inhibit TPA-induced erythema correlated well with their potency in the PBQ-writhing test. Thus, CBN and delta-1-THC were the least active followed by CBG, CBD, and cannflavon. Again, the extracts were the most active (Table 3). Twenty-four hours after application, the ethanolic extract still produced 16% inhibition of TPA-induced erythema of the animals. All other substances were without activity after 24 h.
All substances were more active than trifluoperazine, 1 mg/5ul, a known phorbol ester antagonist both in vivo (19) and in vitro (20). The PBQ-induced writhing response is believed to be produced by the liberation of endogenous substance(s), notably metabolites of the arachidonic cascade (21, 22). However, the PBQ test is not specific for weak analgesics such as the nonsteroidal antiinflammatory drugs, as it also detects centrally active analgesics (16, 17). Therefore, in the elucidation of the action of the cannabinoids as inflammatory drugs, it was necessary to perform more than one test. In this case, peripheral rather than central action was confirmed in the mouse ear erythema assay. TPA-induced erythema was inhibited by the extracts cannflavon, cannabinoids, and olivetol. The activity of TPA has been shown to be dependent upon PG release in mouse epidermis (23) and mouse peritoneal macrophages (24) possibly via the initial stimulation of protein kinase C (for a review see reference 25). It has also been shown that compounds that show moderate to very potent antiinflammatory potential in standard in vivo inflammation models will also inhibit TPA-induced edema of the mouse ear (26), and phorbol-ester-induced erythema (19). It is possible that the cannabinoids and their extracts are inhibiting both PBQ-induced writhing and TPA-induced erythema by effects on arachidonate release and metabolism. Cannabinoids and olivetol have been shown to inhibit PG mobilization (11, 12) and synthesis (14). The noncannabinoid constituents of Cannabis, for example, cannflavon, have been shown to be mainly cyclooxygenase inhibitors (14). Cannabinoids, however, stimulate and inhibit phospholipase A2 (PLA2) activity (13), as well as inducing an inhibition of cyclooxygenase and lipoxygenase (14). The activity of Cannabis herb or resin is complex, in that activities can be demonstrated on at least three major enzymes of the arachidonate cascade. The mechanism by which delta-1-THC inhibits PBQ-induced writhing may differ from that of the other substances. At concentrations greater than 10 mg/kg, delta-1-THC may be inhibiting PBQ-induced writhing by acting on central rather than peripheral functions. It is possible that prostaglandins modulate certain inhibitory pathways in the brain, bringing about an increase in the pain threshold. This dose of delta-1-THC is capable of bringing about the cataleptic effect (27), which is a standard test for central involvement. Central analgesics have higher efficacies than peripheral ones, and this may explain the effectiveness of delta-1-THC (Figure 2). The central involvement of delta-1-THC is perhaps the primary reason why delta-1-THC was recognized as an analgesic before other cannabinoids. Our results suggest that the response of the ethanolic extract cannot be solely due to cannflavon. Other structurally related phenolic substances, known to be present in this complex extract, may account for the higher activity seen either due to cumulative or synergistic effects upon cyclooxygenase. The activity of the petroleum ether extract is likely to be largely due to the presence of CBD and CBN. GLC analysis of the extract has shown that this extract contained 14.13% CBD, 9.08% CBN, and 6.68% delta-1-THC (27). On the basis of our results, it is possible to separate the centrally active cannabinoid delta-1-THC from peripherally active compounds of the herbal extracts. An attempt has been made to differentiate them structurally (Table 3). It can be seen that the olivetolic nucleus together with a free C-5 hydroxyl group are structural requirements for peripheral effects, involving both cyclooxygenase and lipoxygenase inhibition (14). Substances possessing this structure possess antiinflammatory and analgesic activities without central hallucinogenic effects. Delta-1-THC and CBN, which are cyclized derivatives exhibiting no C-5 hydroxyl moiety, have little if any peripheral action. The traditional use of Cannabis as an analgesic, antiasthmatic, and antirheumatic drug is well established. Our results would suggest that cultivation of Cannabis plants rich in CBD and other phenolic substances would be useful not only as fiber-producing plants but also for medicinal purposes in the treatment of certain inflammatory disorders. Acknowledgments----We are grateful to the Medicinal Research Council and the Government of Cameroon for financial support. 1. Pars, H.G., R.J. Razdan, and J.F. Howes. 1977. Potential therapeutic agents derived from the cannabinoid nucleus. Adv. Drug. Res. 11. 2. O.L. Davies, J. Raventos, and A.L. Walpole, 1946. A method for evaluation of analgesic activity using rats. Br. J. Pharmacol. 1: 255-264. 3. Gill, E.W., W.D.M. Paton, and R.G. Pertwee, 1970. Preliminary experiments on the chemistry and pharmacology of Cannabis. Nature 228: 134-136. 4. Dewey, W.L., L.S. Harris, and J.S. Kennedy, 1972. Some pharmacological and toxicological effects of 1-trans-delta-8- and 1-trans-delta-9-THC in laboratory rodents. Arch. Int. Pharmacodyn. 196: 133-145. 5. Chesher, G.B., C.J. Dahl, M. Everingham, D.M. Jackson, H. Marchant-Williams, and G.A. Starmer, 1973. The effect of cannabinoids on intestinal mobility and their antinociceptive effect in mice. Br. J. Pharmacol. 49: 588-594. 6. Buxbaum, D., E. Sanders-Bush, and D.H. Efron. 1969. Analgesic activity of tetrahydrocannabinol in the rat and mouse. Fed. Proc. 28: 735. 7. Sanders, J., D.M. Jackson, and G.A. Starmer. 1979. Interactions among the cannabinoids in the antagonism of abdominal constriction response in the mouse. Psychopharmacology 61: 281-285. 9. Burstein, S., and S.A. Hunter. 1978. Prostaglandins and Cannabis VI. Release of arachidonic acid from HeLa cells by delta-1-THC and other cannabinoids. Biochem. Pharmacol. 27: 1275-1280. 10. Burstein, S. and A. Raz. 1972. Inhibition of prostaglandin E2 biosynthesis by delta-1-tetrahydrocannabinol. Prostaglandins 2: 369. 11. Burstein, S.E., Levine, and C. Varanelli. 1973. Prostaglandins and Cannabis II. Inhibition of biosynthesis by the naturally occurring cannabinoids. Biochem. Pharmacol. 22: 2905-2910. 12. Barrett, M.L., D.Gordon, and F.J. Evans. 1985. Isolation from Cannabis sativa L of cannflavin: A novel inhibitor of prostaglandin production. Biochem. Pharmacol. 34: 2019-2024. 13. Evans, A.T., E.A. Formukong, and F.J. Evans. 1987. Activation of phospholipase A2 by cannabinoids. Lack of correlation with CNS effects. FEBS Lett. 211: 119-122. 14. Evans, A.T., E.A. Formukong, and F.J. Evans. 1987. Actions of Cannabis constituents on enzymes of prostaglandin synthesis: Antiinflammatory potential. Biochm. Pharmacol. 36: 2035-2037. 15. Parkes, M.W., and J.T. Pickens. 1965. Conditions influencing the inhibition of analgesic drugs of the response to intraperitoneal injections of phenylbenzoquine in mice. Br. J. Pharmacol. 25: 81-87. 16. Siegmund, E.A., R.A. Cadmus, and G. Lu. 1957. A method for evaluating both nonnarcotic and narcotic analgesics. Proc Soc. Exp. Biol. 95: 729-731. 17. Hendershot, L.C., and J. Forsaith. 1959. Antagonism of the frequency of phenylbenzoquinone induced writhing in the mouse by weak analgesics and nonanalgesics. J. Pharmacol. Exp. Ther. 125: 237-240. 18. Kinghorn, A.D., and F.J. Evns. 1975. A biological screen of selected species of the genus Euphorbia for skin irritant effects. Planta Med. 28: 325. 19. Williamson, E.M., and F.J. Evans. 1981. Inhibition of erythema induced by proinflammatory esters of 12-deoxyphorbol. Acta Pharmacol. Toxicol. 481: 47-52. 20. Williamson, E.M., J. Westwick, V.V. Kakkar, and F.J. Evans. 1981. Studies on the mechanism of action of 12-DOPP, a potent platelet aggregating phorbol ester. Biochem. Pharmacol. 30: 2691-2696. 23. Marks, F., G. Furstenberger, and E. Kownatzki, 1981. Prostaglandin E-mediated mitogenic stimulatin of mouse epidermis in vivo by divalent cation ionophore A23187 and by tumor promoter 12-O-tetradecanoyl phorbol-13-acetate. Cancer Res. 41: 696-702. 24. Humes, J.L., S. Sadowski, M. Galavage, M. Goldenberg, E. Bubers, R.J. Bonney, and F.A. Kuehl, 1982. Evidence for two sources of arachidonic acid for oxidative metabolism by mouse peritoneal macrophages. J. Biol. Chem. 257: 1291-1594. 25. Edwards, M.C., and F.J. Evans. 1987. Activity correlations in the phorbol ester series. Bot. J. Linn. Soc. 94: 231-246. 26. Calson, R.P., L. O'Neill-David, J. Chary, and A.J. Lewis. 1985. Modulation of mouse ear edema by cyclooxygenase and lipoxygenase inhibitors and other pharmacological agents. Agents Actions 17: 197-204. 27. Formukong, E.A., A.T. Evans, F.J. Evans. 1987. Inhibition of the cataleptic effect of delta-1-tetrahydrocannabinol by noncataleptic constituents of Cannabis sativa L. J. Pharm. Pharmacol. (in press). Patent 6132762 Issued on October 17, 2000. Estimated Expiration Date: May 5, 2018. Inventor: Shapiro , et al. Inventor: Sears , et al. Pangrle; Brian J., Ownbey; Nancy E., Peacock; Deborah A. A transcutaneous therapeutic formulation comprising marijuana and a carrier for the treatment of pain, inflammation, arthritis and related disorders in humans and animals. April 15, 2003 -- Cannabis may offer hope to people with autoimmune disorders such as lupus and rheumatoid arthritis. Cannabis seems to decrease inflammation in the body by suppressing certain parts of the immune system. Researchers are hoping this finding will lead to new treatments. Previous studies have hinted at immune system abnormalities among cannabis users -- specifically, in the function of immune system cells called T lymphocytes and natural killer cells. While these cells help the body fight infections, no direct link with lowered immunity has yet been shown. In this study, researchers tested the blood of 29 cannabis smokers -- 13 occasional users and 16 regular users (weekly or daily use). They compared the results with a group of 32 nonsmokers. Again, researchers found that cannabis smokers had fewer immune-enhancing natural killer cells and lymphocytes, and higher levels of a protein that may promote tumor growth, called interleukin-10. These changes can dampen the immune system's response to infection, increasing susceptibility to infections and promoting growth of tumors, states lead researcher Roberta Pacifici, PhD, with the Instituto Superiore di Sanita in Rome, Italy. But researchers also say this finding could lead to new treatments for people with autoimmune disorders. Current treatments suppress the immune system -- thereby calming the abnormal immune response that plagues people with the conditions. Cannabis lowers levels of the inflammation-promoting protein interleukin-2 and raises levels of the anti-inflammatory protein interleukin-10. Both of these findings could be of potential benefit for treating autoimmune disorders one day. SOURCE: The Journal of the American Medical Association, April 16, 2003. See the article "The nonpsychoactive cannabis constituent cannabidiol is an oral anti-arthritic therapeutic in murine collagen-induced arthritis" on page 9561. Marijuana, the common name for Cannabis sativa, is a widely distributed hemp plant whose dried flowering tops and leaves have been used for medicinal purposes for 12,000 years by some estimates. The article by Malfait et al. in this issue of PNAS is relevant to the question of whether such traditional uses of marijuana could be clinically justifiable today. Contemporary discussions of the medical value of marijuana must be undertaken within a larger cultural, legal, and political context (Workshop on the Medical Utility of Marijuana, National Institutes of Health, http://www.nih. gov/news/medmarijuana/MedicalMarijuana.htm). The perceived behavioral and addictive effects of marijuana led to its prohibition from nonmedical uses by most states, taxation at the federal level, and eventual removal from the U.S. Pharmacopoeia in the 1930s and 1940s. Nonetheless, smoking of marijuana cigarettes continued and became the recreational drug practice of choice as well as a virtual rite of passage for young people during the Vietnam era. Some people who suffered chronic debilitating illnesses observed that marijuana eased some of their symptoms. A movement grew to redefine marijuana as a neglected, but valuable, therapeutic tool. Today, that movement has been subsumed under a more general advocacy for a whole spectrum of complementary and alternative health approaches. Complementary and alternative medicine entails the use of unconventional diagnostic, preventative, and therapeutic approaches including acupuncture, chiropractic manipulation, homeopathy, and magnets, few of which have been tested according to rigorous scientific standards. Herbal and other botanical products are key components of many alternative health approaches. Numerous preparations are marketed in the United States as nutritional supplements with such promises as combating fatigue, restoring mental balance, warding off respiratory infections, losing weight, and relieving the pains of arthritis. Were botanical products merely inert food supplements or condiments, there would be little concern over their use. But the very discoveries that yielded aspirin, digoxin, vincristine, taxol, and many other valuable plant-based drugs informed us as well of their potential for harm. Despite the common belief that natural substances must be healthful, the media and scientific literature today are rife with reports of serious adverse effects of particular botanical supplements and unexpected interactions between some supplements and proprietary drugs. Thus, the public need for definitive preclinical and clinical testing of botanicals and other unconventional healing approaches led to the creation in 1999 of the National Center for Complementary and Alternative Medicine at the National Institutes of Health. With regard to marijuana, there are data to indicate that the plant, or at least some of its constituents, conveys some clinical benefits, but a number of risks as well. Comprehensive reviews of the medical utility of marijuana were undertaken by a National Institutes of Health workshop in 1997 and by the Institute of Medicine in 1999 (http: //www.nih.gov/news/medmarijuana/MedicalMarijuana.htm and ref. 4). These reviews concluded that smoking marijuana reduces intraocular pressure in glaucoma and is claimed to ameliorate pain, cachexia, nausea, and other debilitating conditions. Unfortunately, large controlled trials have not been conducted to support the majority of such claims. Moreover, there are better, well-defined treatments for virtually all such indications. Far more certain than reports of the benefits of marijuana smoking, however, are the health risks it imposes. Studies have described its adverse psychological, cardiovascular, and pulmonary effects, and even raised the specter of an increased risk of cancer. In contrast to the incomplete state of the science regarding use of the plant itself, the identity, pharmacology, and clinical effects of several of marijuana's constituents are relatively well characterized. Marijuana contains more than 60 distinct cannabinoids, of which a series of tetrahydrocannabinols (THC) and their metabolites are the primary psychoactive ingredients and best-known components (Fig. ​(Fig.1).1). Δ9-THC alleviates the nausea associated with cancer chemotherapy and AIDS wasting and is available for these indications as the prescription drug dronabinol. Even the nonpsychoactive cannabinoids have been shown to have cellular and physiologic effects that could prove of clinical value. The chemical structures of Δ9-THC and cannabidiol. The paper by Malfait et al. summarizes in vitro and in vivo immunological studies of the marijuana constituent cannabidiol (CBD; Fig. ​Fig.1) and its potential effects in the treatment of arthritis. Using a murine model in which arthritis is induced by immunization with type II collagen, the authors show that CBD blocks the inflammatory infiltrate and progression of joint damage. CBD appears effective both orally and intraperitoneally, but with a rather sharp dose-response peak, above or below which efficacy is less evident. A series of ex vivo studies indicate that CBD attenuates the oxidative burst in granulocytes, lymphocyte proliferation, and the release of proinflammatory cytokines. Numerous prior studies of marijuana itself, unfractionated marijuana extracts, and individual cannabinoids revealed that they manifest a wide range of immunologic effects, both in vitro and in vivo, in animals as well as in human subjects (reviewed in ref. 9). Generally suppressive effects on T cell, B cell, macrophage, natural killer cell, and neutrophil functions have been described. Proliferation is impaired, as is release of selected cytokines and chemokines, but the findings differ by cell type, experimental conditions, and especially the concentration of the cannabinoids examined. The effects are sufficient, nonetheless, to impair host responses to animal challenges with several viral and bacterial pathogens. Moreover, the psychoactive potential of the molecule does not correlate with its immunological effects. For example, both THC and CBD were shown to inhibit release of IFN-γ and tumor necrosis factor α from cultured human peripheral blood mononuclear cells. In some assays, the effects by one paralleled the other; in others, CBD was more potent. Importantly, the dose–response for either substance was complex, being stimulatory at concentrations of 0.01–0.1 μg/ml, the range of serum levels detected in marijuana smokers, but strongly inhibitory at 0.5–20 μg/ml. Given the tight peak response to CBD observed in the present report and its still undefined pharmacokinetics, it might be difficult to develop CBD into a useful anti-inflammatory or immunosuppressive drug. Another issue that bears on the potential therapeutic utility of CBD, or any cannabinoid designed for prolonged use, is its toxicity, an issue that was not addressed by Malfait et al. In addition to adverse effects like tremors, convulsions), and embryotoxicity observed in formal animal studies, there are effects associated with its intended use, such as the suppression of inflammatory cytokine responses. Early experiences with the anti-tumor necrosis factor agents infliximab and etanercept revealed an increased incidence of intercurrent infections. Their long-term effects on dormant infections with mycobacteria or other intracellular pathogens are not known. An increased risk of lymphomas has been postulated as well. Regardless of its eventual utility and safety, CBD is a potential lead to new classes of agents that would interfere with inflammatory pathways. Although one could only speculate as to why a common weed like Cannabis would evolve to contain THC and CBD, we do know something of the cellular mechanisms by which it acts on the mammalian immune and nervous systems. Two related cannabinoid receptors have been described: CB1 and CB2 (Table ​(Table1;1; refs. 16 and 17). They are both widely distributed G-coupled protein receptors. High densities of CB1 are found in the cortex, limbic system, and hippocampus, where endogenous ligands like anandamide serve as neurotransmitters. CB2 also is expressed in the brain, but is found in relatively higher concentrations than CB1 in various lymphocyte subpopulations, especially B cells. That CBD does not bind to either CB1 or CB2 implies that additional receptors remain to be discovered. The evolving work suggests that the differential expression of cannabinoid receptors, and the particular endogenous ligands accessible to them in specific tissues, constitute a rich regulatory network (18, 19). Many proponents of complementary and alternative medicine find the discovery of neuro-immune effector molecules, such as the cannabinoid receptors and their endogenous ligands, to be an exciting validation of their traditional beliefs about the unity of mind and body. They extol the proverbial wisdom of nature in providing medicinal plants whose components can affect human cells through evolutionarily conserved biochemical mechanisms. They believe, as well, that the multiplicity of related constituents in medicinal plants act collectively to enhance overall beneficial effects while tempering adverse ones. It is conceivable that marijuana contains a series of cannabinoids that, in the aggregate, could alleviate arthritis as implied in the present report, yet remain well tolerated. Remarkably, the claim that marijuana does so also was made 4,000 years ago by the Chinese emperor Shen-nung whose pharmacobotanical compendium, the Pen-ts'ao Ching, concluded that cannabis “undoes rheumatism” (cited in ref. 20). These are ideas that are now susceptible to critical scrutiny through controlled trials in which purified plant constituents are compared, alone and in combination, with whole-plant products. See companion article on page 9561. Article published online before print: Proc. Natl. Acad. Sci. USA, 10.1073/pnas.180314297. 1. Abel E L. Marijuana: The First Twelve Thousand Years. New York: Plenum; 1980. 3. Eisenberg D M, Davis R B, Ettner S L, Appel S, Wilkey S, Van Rompay M, Kessler R C. J Am Med Assoc. 1998;180:1569–1575. 4. Joy J E, Watson S J, Benson J A Jr, editors. Marijuana and Medicine: Assessing the Science Base. Washington, DC: Natl. Acad. Press; 1999. 10. Watzl B, Scuderi P, Watson R R. Intl Soc Immunopharmacol. 1991;13:1091–1097. 19. Klein T W, Newton C, Friedman H. Immunol Today. 1998;19:272–281. 20. Hui-Lin L. In: Cannabis and Culture. Rubin V, editor. The Hague: Mouton; 1975. pp. 51–62. Received June 29, 2007; Revised September 28, 2007; Accepted October 10, 2007. Blood flow was assessed in rat knee joints by laser Doppler imaging both before and following topical administration of CB2 receptor agonists. Vasoactivity was measured in normal, acute kaolin/carrageenan inflamed and Freund's complete adjuvant chronically inflamed knees. In normal animals, JWH015 and JWH133 caused a concentration-dependent increase in synovial blood flow which in the case of JWH133 was blocked by the selective CB2 receptor antagonist AM630 as well as the transient receptor potential vanilloid-1 (TRPV1) antagonist SB366791. The vasodilator effect of JWH133 was significantly attenuated in both acute and chronically inflamed knees. Given alone, AM630 had no effect on joint blood flow. In normal joints, the cannabinomimetic JWH133 causes hyperaemia via a CB2 and TRPV1 receptor mechanism. During acute and chronic inflammation, however, this vasodilatatory response is significantly attenuated. Cannabis sativa is the source of at least 60 distinct alkaloids, which make up a group of compounds called cannabinoids. Cannabinoids can be categorized depending on whether they are synthetic, plant-derived (phytocannabinoids) or naturally produced in the body (endocannabinoids). The endocannabinoid system is believed to play an important role in health and disease where it can ameliorate the severity of disorders, such as pain, multiple sclerosis, schizophrenia and emesis (Di Marzo and Petrocellis, 2006; Pertwee, 2006a). Overproduction of endocannabinoids, however, could have a detrimental effect on the body, leading to problems such as obesity, infertility and inflammatory disorders. Thus, strategic control of the endocannabinoid system with selective agonists or antagonists may prove to have therapeutic value in the treatment of various diseases. Two cannabinoid receptors have been cloned, viz. CB1 and CB2 (Matsuda et al., 1990; Munro et al., 1993). These Gi/o protein-coupled receptors are distributed throughout the body and are involved in the control of miscellaneous physiological processes, such as pain perception, appetite and vasoregulation. CB1 receptors are predominantly found on nerve terminals in the central and peripheral nervous systems (Tsou et al., 1998; Pertwee, 1999a; Farquhar-Smith et al., 2000), although they have also been localized in non-neuronal tissues, such as the pituitary gland, spleen and immunocytes (Bouaboula et al., 1993). The primary location of CB2 receptors is on immunocytes (Pertwee, 1999b, 2006a), but they have also been identified on peripheral nerves (Griffin et al., 1997) and in the central nervous system (Van Sickle et al., 2005). A plethora of cannabinoid ligands have been developed with fairly high selectivity for CB1 and CB2 receptors (Pertwee, 1999b, 2006b). Two selective CB2 receptor agonists are JWH015 ((2-methyl-1-propyl-1H-indol-3-yl)-1-napthalenylmethanone) and JWH133 ((6aR,10aR)-3-(1,1-dimethylbutyl)-6a,7,10,10a-tetrahydro-6,6,9-trimethyl-6H-dibenzo[b,d]pyran). The Ki values for JWH015 are 383 and 13.8 nM for the CB1 and CB2 receptors, respectively (Chin et al., 1999), while JWH133 has Ki of 677 and 3.4 nM for the CB1 and CB2 receptors, respectively (Huffman et al., 1999). For antagonists, the aminoalkylindole AM630 (6-iodo-2-methyl-1-[2-(4-morpholinyl)ethyl]-1H-indol-3-yl](4-methoxyphenyl) methanone) has been shown to be an effective blocker of CB2 receptors (Hosohata et al., 1997). Cannabinoids are known to exert potent cardiovascular effects in vivo. For example, systemic administration of the endocannabinoid anandamide, which acts on CB1 and CB2 receptors, causes hypotension and bradycardia (Varga et al., 1996; Högestatt and Zygmunt, 2002). Moreover, anandamide has been shown to produce vasodilatation in the brain (Ellis et al., 1995), liver (Garcia et al., 2001), kidney (Deutsch et al., 1997), heart (Wagner et al., 2001; Ford et al., 2002) and mesentery (Randall et al., 1996; White and Hiley, 1998; Jarai et al., 1999). A number of studies using more selective cannabinoid analogues have confirmed that CB1 receptor activation leads to relaxation of vascular smooth muscle and systemic hypotension (for review, see Randall et al., 2004). Indeed in the rat knee joint, local administration of the selective CB1 receptor agonist, arachidonyl-2-chloroethylamide causes an increase in synovial blood flow (Baker and McDougall, 2004). Less is known about the vasomotor effects of CB2 receptor agonists. Wagner et al. (2005) reported that in vitro perfusion of rat hearts with JWH133 caused an increase in coronary blood flow that was insensitive to AM630 antagonism. In vivo assessment of CB2 receptor agonists on tissue blood flow have so far not been reported. Evidence has been emerging in recent years that suggests that cannabinoids are able to bind to and activate the transient receptor potential vanilloid-1 (TRPV1) channel. TRPV1 channels are non-selective cation channels expressed on the axon terminals of a subgroup of primary afferent neurons (Caterina et al., 1997; Szallasi, 2002). In joints, activation of TRPV1 channels by local capsaicin treatment leads to inflammatory changes, including increased synovial blood flow (Karimian et al., 1995; Varga et al., 2005). Interestingly, the CB1 receptor agonist arachidonyl-2-chloroethylamide has also been shown to act on TRPV1 channels to cause synovial hyperaemia in the rat knee (Baker and McDougall, 2004). Whether CB2 receptors are similarly coupled to TRPV1 channels has never been explored. The current study was undertaken to assess the vasomotor effects of the two CB2 receptor agonists, JWH015 and JWH133, on knee joint blood flow in vivo. The role of TRPV1 channels in these vasoregulatory processes was also investigated. Further studies were carried out to examine the effect of joint inflammation on CB2 receptor-mediated responses using animal models of acute and chronic arthritis. All experimental procedures received prior approval from the University of Calgary Animal Care Committee, which is in accordance with the Canadian Council for Animal Care. Adult male Wistar rats (242–495 g) were obtained from Charles River Laboratories (Montreal, Quebec, Canada) and housed in pairs at room temperature under a 12 h light–dark cycle, with free access to water and standard rat chow. Animals were randomly assigned to one of three experimental groups: naïve control, acutely inflamed and chronically inflamed. Two distinct models of arthritis were used in the present investigation based on the different phases of inflammation. Thus, the kaolin/carrageenan arthritis model produces an acute inflammatory reaction within 24 h after induction, while adjuvant monoarthritis is more suitable to assess the chronic phase of joint inflammation. Prior to arthritis induction, knee joint diameters were measured using electronic digital callipers (Mitutoyo Instruments, Tokyo, Japan) oriented medio laterally across the joint line between the femoral condyle and the tibial plateau. Diameters were compared before and upon completion of inflammation development, which is at 24 h for the kaolin/carrageenan model and at 1 week for the adjuvant monoarthritis model. In the acutely inflamed group of rats, inflammation was induced in the right knee joint by kaolin and carrageenan. Under isoflurane anaesthesia (2–5% isoflurane; 100% O2 at 1 l min−1), 0.2 ml of 2% kaolin was injected through a 27-gauge needle into the posterior and anterior synovial cavity, followed by repeated limb extensions and flexions for 10 min to ensure adequate dispersion of the suspension within the joint and to cause articular abrasion. Subsequently, 0.2 ml of 2% carrageenan was injected into the joint by the same procedure. These animals were allowed to recover for 24 h prior to blood flow assessment. For chronic inflammation, rats were anaesthetized with 2–5% isoflurane (100% O2 at 1 l min−1), and a localized monoarthritis was induced as previously described (Donaldson et al., 1993; McDougall et al., 1995). The right knee joint was shaved and 0.2 ml of Freund's complete adjuvant (heat-killed Mycobacterium tuberculosis, 1 mg ml−1) was injected through a 27-gauge needle into the knee joint with 0.1 ml being introduced into the posterior compartment of the joint and 0.1 ml being injected anteriorly. Animals were allowed to recover for 1 week prior to the blood flow experiments. Sham-injected animals were not tested as an intra-articular injection of sterile saline has been shown to have no effect on synovial blood flow or vasoreactivity (Karimian et al., 1995). On the day of experimentation, animals were deeply anaesthetized with urethane (25% stock solution, 2 g kg−1, i.p.). Depth of anaesthesia was confirmed by a lack of a pinch withdrawal reflex applied to the hindpaw as well as an absence of a corneal blink reflex. A longitudinal incision was made in the neck and the trachea was isolated and cannulated to permit unobstructed breathing. The right carotid artery was then isolated and cannulated with heparinized saline (100 U ml−1)-filled polyethylene tubing (Portex Fine Bore Tubing, 0.5 mm ID, 1.00 mm OD; SIMS Portex Ltd., Kent, UK). The carotid cannula was attached to a pressure transducer (1050 Pressure Transducer; Stoelting Co., Wood Dale, IL, USA) and mean arterial pressure (MAP) was recorded continuously throughout the experiment via a blood pressure monitor (Pressure Monitor BP-1; World Precision Instruments, Sarasota, FL, USA). The animal was then placed in dorsal recumbency on an electric-heating blanket (TR-100; Fine Science Tools Inc., Vancouver, British Columbia, Canada) and the internal body temperature was maintained at 37 °C as measured by a rectally inserted electronic thermometer. An ellipse of skin covering the anteromedial region of the right knee joint was removed and the underlying tissue was kept moist by regular superfusion of 37 °C physiological saline (0.9% NaCl). Knee joint blood flow was measured by laser Doppler perfusion imaging (LDI) as previously described (Karimian et al., 1995; McDougall et al., 1995). The technique involved placing a laser Doppler perfusion imager (MoorLDI V.2; Moor Instruments Ltd., Devon, UK) 30 cm above the exposed rat knee and angling the scanner head to avoid reflectance artefact. A low-power (2 mW) red He–Ne laser (λ=633 nm) was directed onto the surface of the knee joint and by means of a motor-controlled mirror the laser beam scanned in a raster pattern across the joint capsule. Careful placement of opaque black cloth at the margins of the knee ensured that only the joint capsule was scanned. The image resolution was set at 42 pixels × 55 pixels with a scan speed of 4 ms pixel−1. At each pixel point, photons in the incident laser beam underwent Doppler shift by virtue of erythrocytes flowing in the tissue. These Doppler-shifted photons were captured by a photodetector in the scanner head and a perfusion value was calculated based on the velocity and concentration of erythrocytes circulating in the microvasculature. A two-dimensional colour-coded image of tissue perfusion was then constructed and stored for later offline analysis. To achieve a more accurate appreciation of the time course for cannabinoid activity, the imager was set to the single-point measurement mode to maximize the temporal resolution of the instrument. In these experiments, the laser beam remained stationary at a discrete locus on the surface of the joint capsule, and blood flow measurements were continuously acquired. The precise positioning of the laser beam was randomly chosen, but was usually placed in the vicinity of an observable microvascular network. A steady blood flow level was measured for about 1 min before a cannabinoid agonist was topically applied to the knee joint. Blood flow was then measured continually over the succeeding 5 min. In subsequent scanning experiments, the timeline for image acquisition was designed so as to coincide with the maximal vasomotor effect of the test agents. All test reagents were placed in a water bath and gently warmed to 37 °C. A control LDI scan of the knee was taken and then the test drug was topically applied to the surface of the joint capsule as a 0.1 ml bolus. The CB2 receptor agonists tested in this study were JWH015 (10−14–10−11 mol) and JWH133 (10−14–10−12 mol). Blood flow scans of the joint were then taken at 0, 1.5, 2, 3 and 5 min following drug application. A cumulative concentration–response curve to each agonist was generated in separate groups of animals and sequential doses of agonist were applied to the joint following each 5-min scan. In other experiments, each dose of the CB2 receptor agonist was co-administered with the selective CB2 receptor antagonist AM630 (10−8 mol; 0.1 ml bolus topical). The concentration of AM630 was based on previous successful antagonism in the rat cardiovascular system (Ford et al., 2002). To determine whether the transient potential vanilloid receptor-1 (TRPV1) is involved in CB2 receptor-mediated vasoregulation, additional experiments were undertaken in which animals were pretreated with the TRPV1 receptor antagonist SB366791. At 20 min following an intraperitoneal injection of SB366791 (500 μg kg−1), concentration–response effects of JWH133 were assessed. This treatment regimen with SB366791 has previously been shown to successfully block TRPV1 receptors in the rat knee joint (Varga et al., 2005). It should be pointed out that JWH015 proved to be a weak, non-selective agonist for the CB2 receptor and as such was neither used in the SB366791 experiments nor tested in the inflammatory models. At the conclusion of the experiment, the animal was killed by anaesthetic overdose (pentobarbital sodium, 240 mg intracardiac) and a final scan of the joint was performed. This dead scan constituted a ‘biological zero' measurement, which corresponded to tissue optical noise and residual Brownian motion. This ‘biological zero', which was typically about 5–10% of the basal perfusion level, was subtracted from all image perfusion values prior to data processing. Knee joint LDI scans were analysed by proprietary perfusion image-processing software (Moor Instruments Ltd.). For each image, an average blood flow value for the entire anteromedial knee joint capsule was calculated and expressed in arbitrary perfusion units (PUs). Blood flow changes in response to drug administration were expressed as percentage change in perfusion between control and test scans. The maximal vasomotor effect (Emax) and the EC50 were calculated from a sigmoidal nonlinear regression curve fit. All data sets conformed to a Gaussian distribution and as such were tested with parametric statistical analyses using GraphPad Prism software (GraphPad Software, San Diego, CA, USA). ANOVA was used to assess significant differences in blood flows within (one-way ANOVA) and between (two-way ANOVA) different animal groups. A Bonferroni post hoc test was used to determine whether groups of data were significantly different at a specific concentration of cannabinoid. A significance level of P<0.05 was used for each test and all reported values represent means±s.e.m. for ‘n' observations. JWH015, JWH133 and AM630 were all purchased from Tocris Bioscience, Ellisville, MO, USA; SB366791, Freund's complete adjuvant, λ-carrageenan, kaolin, urethane and heparin were all obtained from Sigma-Aldrich Ltd., Oakville, Ontario, Canada. SB366791 and all cannabinoid agonists and antagonists were dissolved in dimethyl sulphoxide and cremophor, diluted to their working concentrations, aliquoted and stored at either 4 °C or −20 °C as required. The final concentration of vehicle was maintained at 2% dimethyl sulphoxide and 1% cremophor for each concentration. This vehicle formulation has previously been found to have no significant effect on joint blood flow (Baker and McDougall, 2004). LDI-determined basal blood flow in normal rat knees was 421±26.8 PU (n=52). Application of the CB2 receptor agonists JWH015 and JWH133 onto the surface of normal rat knees caused a marked but transient increase in synovial blood flow. Continuous measurement of joint blood flow at a single discrete location indicated that vasodilatation was rapid in onset in response to CB2 receptor activation, with maximal blood flow being reached approximately 1.5 min after drug application (Figure 1). Synovial blood flow subsequently returned to control levels at around the 4-min time point. Concentration–response curves were constructed for JWH015 and JWH133 and both agonists showed a concentration-dependent effect (Figure 2). The calculated Emax for JWH015 was 18.5±3.2% with an EC50 of 1.9 × 10−14 mol. JWH133 on the other hand had an Emax of 36.4±5.3% and an EC50 of 7.9 × 10−14 mol. The selective CB2 receptor antagonist AM630 had no effect on JWH015-mediated vasodilatation (P=0.81, two-way ANOVA; n=9–10; Figure 2a). Conversely, co-administration of AM630 with JWH133 significantly inhibited the vasodilatatory effect of the cannabinoid (P<0.0001, two-way ANOVA; n=11–38; Figure 2b). Administration of 10−12 mol JWH133 without previous application of the lower concentrations of the cannabinoid still elicited around a 40% increase in joint blood flow (data not shown), indicating that tachyphylaxis was not occurring in these experiments. Since JWH015 only produced a weak, non-selective effect on synovial blood flow, the subsequent experiments were only carried out with the more efficacious JWH133. To determine if the TRPV1 ion channel is involved in the activity shown by JWH133, animals were treated with the TRPV1 antagonist SB366791. As shown in Figure 3, the vasodilator effect of JWH133 was blocked in SB366791-treated animals. A two-way ANOVA confirmed that the JWH133 concentration–response curves in SB366791-treated vs non-treated animals were statistically different from each other (P<0.0001; n=12–38). Comparison of joint diameters before and after inflammation induction confirmed oedema formation in the animal models of arthritis. In kaolin/carrageenan acutely inflamed knees, joint diameter increased from 9.0±0.07 to 15.1±0.44 mm, while chronically inflamed adjuvant monoarthritic knees showed an increase in knee diameter from 9.0±0.13 to 12.2±0.42 mm. Both increases were found to be statistically significant (P<0.0001, paired Student's t-test; n=10–13 knees). Basal blood flow to acutely inflamed knees was 566±65 PU (n=10). Administration of JWH133 to acutely inflamed rat knee joints failed to elicit any significant change in synovial blood flow (Figure 4). A two-factor ANOVA confirmed that the vasodilator effect of JWH133 seen in normal joints was abrogated in the acute inflammatory model (P<0.0001, two-way ANOVA; n=8–12). In chronically inflamed joints, the hyperaemic effect of JWH133 was also significantly attenuated compared to normal control knees (P<0.0001, two-way ANOVA; Figure 4). Basal blood flow to adjuvant monoarthritic knees was 513±47.5 PU (n=10). Topical administration of the selective CB2 receptor antagonist AM630 (10−8 mol) had no effect on synovial blood flow in normal (P=0.29), acutely inflamed knees (P=0.81) or chronically inflamed (P=0.05) rat knee joints (Figure 5). Thus, AM630 does not appear to be acting as an inverse or partial agonist to increase blood flow in this model system. As shown in Table 1, local administration of all of the test compounds had no significant effect on MAP. Thus, all reported vasomotor changes are a direct effect of the drugs on articular blood vessels and are not a secondary consequence of systemic changes in blood pressure. Cannabinoids acting via the CB2 receptor are known to heavily influence the activity and function of the nervous system; however, the effect of selective CB2 receptor agonists on the cardiovascular system are less well understood. The present study found that the synthetic CB2 receptor agonists JWH015 and JWH133 produced a significant increase in synovial blood flow when applied locally to the joint. These hyperaemic responses were a direct effect of the drugs on the joint microenvironment and not a secondary systemic reaction since the agonists were restricted to the periphery and had no influence on mean arterial blood pressure (see Table 1). Both agonists exhibited similar potencies; however, JWH133 was found to be more efficacious and showed greater selectivity for the CB2 receptor than JWH015, whose mild vasodilator effect was not blocked by the selective CB2 receptor antagonist AM630. The difference in responsiveness of these two drugs is likely related to the comparatively low affinity of JWH015 for the CB2 receptor (Chin et al., 1999; Huffman et al., 1999). Thus, JWH133 is the pharmacological tool of choice for in vivo vasomotor assessment and, as such, follow-up experiments investigating the mechanism of action of cannabinoids and the effect of joint inflammation on CB2 receptor responses was confined to this particular agonist. It should be noted that the pharmacological tools currently available for cannabinoid research all possess some limits to selectivity. For example, JWH015, JWH133 and AM630 all show a mild affinity for the CB1 receptor. Thus, it is entirely feasible that the vasodilator responses observed in this study are being mediated by CB1 receptors and not CB2 receptors as reported. Attempts to block CB1 receptors with an antagonist such as AM251 were not carried out in this study, as AM251 also has a mild affinity for CB2 receptors. A further consideration is that the JWH compounds may be acting via the putative GPR55 cannabinoid receptor (Johns et al., 2007; Ryberg et al., 2007) or indeed via other, so far undefined, orphan receptors. Until robust, highly selective drugs become available and all potential cannabinoid receptor subtypes have been identified, the customary caveat with respect to the precise cannabinoid receptors involved in JWH-mediated vasomotor control should be considered. The site of action of the tested cannabinoids is not readily identifiable in this in vivo model. The general viewpoint that CB2 receptors are localized primarily on immunocytes would indicate that these cells could be involved in the vasomotor effects of JWH015 and JWH133. Indeed, cannabinoids have been shown to activate human leukocytes, leading to the release of vasodilating agents, such as nitric oxide and pro-inflammatory chemokines (Stefano et al., 1996; Sugiura et al., 2004). This, however, would not account for the increased blood flow observed in normal joints that do not contain an appreciable number of immunocytes. Alternatively, the cannabinoids could be acting directly on the vascular smooth muscle to cause vasorelaxation. The endocannabinoid anandamide produces vasodilatation by opening large-conductance calcium-activated potassium channels (Grainger and Boachie-Ansah, 2001; White et al., 2001; Wagner et al., 2005), which causes hyperpolarization of smooth muscle cells and vascular relaxation. The vascular endothelium has also been implicated in the vasodilatatory effect of cannabinoids. A number of in vitro studies have shown that cannabinoids can act either as an endothelially derived hyperpolarizing factor or by stimulating the endothelium to cause the secondary release of vasodilator chemicals, such as nitric oxide (Randall et al., 1996; Deutsch et al., 1997; Stefano et al., 2000). A final putative mechanism by which cannabinoids alter tissue blood flow is via their modulatory effects on sensory and sympathetic neurotransmission. Cannabinoids are able to inhibit noradrenaline release from postganglionic sympathetic efferents (Ishac et al., 1996; Varga et al., 1996; Niederhoffer and Szabo, 1999), thereby attenuating sympathetic vascular tone and leading to hyperaemia. Articular blood vessels are also innervated by sensory nerves containing vasoactive neurotransmitters, such as substance P, vasoactive intestinal peptide and calcitonin gene-related peptide (Bjurholm et al., 1990; Abramovici et al., 1991; McDougall et al., 1997), all of which have been shown to increase synovial blood flow (Lam and Ferrell, 1993; McDougall et al., 1995, 1999; McDougall and Barin, 2005). These neuropeptides are released from vasosensory nerves in response to activation of the capsaicin-sensitive TRPV1 channel. Interestingly, anandamide and its synthetic analogues are thought to act on TRPV1 channels to cause the secondary release of pro-inflammatory neurotransmitters, which in turn cause vasodilatation of neighbouring blood vessels (Zygmunt et al., 1999; Ralevic et al., 2000; Smith and McQueen, 2001; Baker and McDougall, 2004). In the present study, blockade of TRPV1 channels with SB366791 significantly attenuated the vasodilator effect of JWH133. This is the first reported evidence showing that TRPV1 channels are essential for CB2 receptor functional activity. Similar observations have been described for CB1 receptor-mediated vasomotor control where the hyperaemic effect of the CB1 receptor agonist arachidonyl-2-chloroethylamide was attenuated following TRPV1 channel blockade (Baker and McDougall, 2004). It appears, therefore, that both CB1 and CB2 receptors are somehow functionally coupled to TRPV1 channels to orchestrate vasoregulation in the knee joint. Whether JWH133 binds directly to TRPV1 receptors to cause secondary release of pro-inflammatory neuropeptides or whether some intracellular pathway exists to allow cross-talk between TRPV1 and CB2 receptors remains to be resolved. While any combination of the mechanisms discussed above may be responsible for the vasodilator effect of the JWH compounds described here, other pathways cannot be discounted. Indeed, such is the complex nature of cannabinoid biology that several studies report contradictory evidence as to the mechanism of action of these eicosanoids on the vasculature (for reviews, see Mendizabal and Adler-Graschinsky, 2003; Randall et al., 2004). Future studies using highly selective cannabinoid agonists in different vascular beds will hopefully reveal the precise mechanism by which CB2 receptor activation leads to vascular smooth muscle relaxation. When applied topically to acutely inflamed knee joints, JWH133 failed to elicit any significant change in articular blood flow across the concentration range tested. Similarly in chronically inflamed knees, the vasodilator effect of the cannabinoid was conspicuously attenuated compared to normal control joints. One possible explanation for this inability of JWH133 to elicit a hyperaemic response in arthritic knees could be that the synovial microvasculature is already maximally vasodilated such that supplementary smooth muscle relaxation is unattainable in these models. Studies testing other vasodilators in these same inflammatory models, however, have successfully demonstrated that arthritic joint blood vessels possess a vasodilator reserve, indicating that vascular smooth muscle relaxation is still possible in these joints (McDougall and Barin, 2005; Zhang and McDougall, 2006). An alternative reason for the lack of a vasodilatatory response to JWH133 in arthritic knees is that there could be an alteration in articular CB2 receptor expression and/or sensitivity in inflamed joints; however, this possibility requires further experimental assessment. CB2 receptor expression on macrophages, microglia, dendritic cells and splenocytes is known to be downregulated following exposure to an inflammatory stimulus (Lee et al., 2001; Carlisle et al., 2002; Matias et al., 2002). Inflammation can cause overactivity of the endocannabinoid system, leading to increased release of anandamide and/or 2-arachidonoylglycerol (Varga et al., 1998; D'Argenio et al., 2006; Oka et al., 2006), and prolonged exposure of cannabinoid receptors to endogenous and synthetic cannabinoid ligands can cause internalization of these Gi/o protein-coupled receptors (Fan et al., 1996; Rubino et al., 2000; Shoemaker et al., 2005). In other organ systems, such as the gut, however, there is evidence of cannabinoid receptor upregulation despite elevated endocannabinoid levels (Izzo et al., 2001; Massa et al., 2004; Kimball et al., 2006). It appears, therefore, that the regulation of cannabinoid receptor expression during inflammation depends upon the tissue involved as well as the nature of the inflammatory stimulus. Interestingly, fatty acid amide hydrolase, the enzyme responsible for the degradation of endocannabinoids, is more active in inflamed gut compared to control animals (Izzo et al., 2001). This continuous turnover of endocannabinoids during intestinal inflammation implies that endocannabinoids cannot accumulate in the tissue and therefore cannabinoid receptor downregulation is averted. Future examination of fatty acid amide hydrolase activity, cannabinoid receptor expression and endocannabinoid levels in inflamed joints is required to help to explain the altered vasomotor responses to JWH133 demonstrated in the present investigation. In conclusion, the present investigation clearly demonstrated the functional presence of CB2 receptors in rat knee joints, whose activation leads to a vasodilator response. Vanilloid TRPV1 channels are essential for the hyperaemic action of JWH133 and further studies are required to determine the molecular and biochemical pathways that link TRPV1 and CB2 receptors. The attenuation of CB2 receptor-mediated vasodilatation in acute and chronically inflamed joints suggests an alteration in CB2 receptor expression or sensitivity following an arthritic insult. The technical assistance of Dr Chunfen Zhang is gratefully acknowledged. This work was supported by the Alberta Heritage Foundation for Medical Research (AHFMR), the Arthritis Society of Canada and the Canadian Institutes of Health Research. JJMcD is an AHFMR Senior Scholar and an Arthritis Society Investigator. Ellis EF, Moore SF, Willoughby KA. Anandamide and delta 9-THC dilation of cerebral arterioles is blocked by indomethacin. Am J Physiol Heart Circ Physiol. 1995;269:H1859–H1864. Jarai Z, Wagner JA, Varga K, Lake KD, Compton DR, Martin BR, et al. Cannabinoid-induced mesenteric vasodilation through an endothelial site distinct from CB1 or CB2 receptors. Proc Natl Acad Sci USA. 1999;96:14136–14141. Johns DG, Behm DJ, Walker DJ, Ao Z, Shapland EM, Daniels DA, et al. The novel endocannabinoid receptor GPR55 is activated by atypical cannabinoids but does not mediate their vasodilator effects Br J Pharmacol 2007. [e-pub ahead of print: 20 August 2007; doi: doi: 10.1038/sj.bjp.0707419. McDougall JJ, Ferrell WR, Bray RC. Neurogenic origin of articular hyperemia in early degenerative joint disease. Am J Physiol. 1999;276:R345–R352. Pertwee RG. The pharmacology of cannabinoid receptors and their ligands: an overview. Int J Obes. 2006b;30 (Suppl 1):S13–S18. Ryberg E, Larsson N, Sjogren S, Hjorth S, Hermansson NO, Leonova J, et al. The orphan receptor GPR55 is a novel cannabinoid receptor Br J Pharmacol 2007. [e-pub ahead of print: 17 September 2007; doi: doi: 10.1038/sj.bjp.0707460. The therapeutic potential of cannabidiol (CBD), the major nonpsychoactive component of cannabis, was explored in murine collagen-induced arthritis (CIA). CIA was elicited by immunizing DBA/1 mice with type II collagen (CII) in complete Freund's adjuvant. The CII used was either bovine or murine, resulting in classical acute CIA or in chronic relapsing CIA, respectively. CBD was administered after onset of clinical symptoms, and in both models of arthritis the treatment effectively blocked progression of arthritis. CBD was equally effective when administered i.p. or orally. The dose dependency showed a bell-shaped curve, with an optimal effect at 5 mg/kg per day i.p. or 25 mg/kg per day orally. Clinical improvement was associated with protection of the joints against severe damage. Ex vivo, draining lymph node cells from CBD-treated mice showed a diminished CII-specific proliferation and IFN-γ production, as well as a decreased release of tumor necrosis factor by knee synovial cells. In vitro effects of CBD included a dose-dependent suppression of lymphocyte proliferation, both mitogen-stimulated and antigen-specific, and the blockade of the Zymosan-triggered reactive oxygen burst by peritoneal granulocytes. It also was found that CBD administration was capable of blocking the lipopolysaccharide-induced rise in serum tumor necrosis factor in C57/BL mice. Taken together, these data show that CBD, through its combined immunosuppressive and anti-inflammatory actions, has a potent anti-arthritic effect in CIA. Cannabidiol (CBD) is one of the major components of Cannabis sativa, marijuana. Marijuana contains approximately 80 constituents, termed cannabinoids. CBD is not psychoactive, unlike the other major component of cannabis, Δ9-tetrahydrocannabinol (Δ9THC). A vast literature documents the immune modulating effects of cannabinoids, in vivo and in vitro, mainly of Δ9THC and synthetic analogues such as CP55,940 (reviewed in ref. 6). A nonexhaustive list of in vitro effects includes inhibition of the proliferative responses of T lymphocytes (7), inhibition of cytotoxic T cell activity (8), suppression of macrophage function and antigen presentation (9, 10), and inhibition of NO production by macrophages (11). Reports on the in vitro effects of CBD on immune cells are scarce and include the modulation of tumor necrosis factor (TNF), IL-1, and IFN-γ by human peripheral blood mononuclear cells (12, 13) and the suppression of chemokine production by a human B cell line (14). These potentially anti-inflammatory properties of CBD, together with the lack of psychotropic effect and low toxicity (15), prompted us to test the potential of CBD as a therapeutic agent in collagen-induced arthritis (CIA). CIA, a murine model for rheumatoid arthritis (RA), is elicited by immunizing DBA/1 mice with type II collagen (CII) in complete Freund's adjuvant (16). The immune response to CII involves both humoral and cellular mechanisms (17, 18), and the cellular response is T helper 1-mediated. CIA is characterized by rapid onset of clinical joint inflammation, resulting in destruction of joint tissues and cartilage/bone erosions. Suppression of the inflammatory process by blocking TNF with mAbs has proven an effective treatment of CIA (20, 21), and these findings led to the successful use of TNF blockade in multiple phase I, II, and III clinical trials with RA patients (reviewed in ref. 22), thus validating the predictive value of CIA as a model for RA. In the present study, we report that CBD has a beneficial therapeutic action on established CIA, and we explore its mode of action. CBD was purified from hashish as reported (23). Its purity was established on the basis of melting point (66–67°), optical rotation (αD = 125°), and single peak on gas chromatography (23). Induction and Monitoring of Heterologous CIA. Bovine CII was purified from hyaline cartilage (21). Male DBA/1 mice (8–12 weeks old) were immunized with 100 μg of CII emulsified in complete Freund's adjuvant (Difco) by intradermal injection at the base of the tail. From day 15 after immunization onward, mice were examined daily for onset of clinical arthritis. Assessment of arthritis included monitoring of clinical scores where 0 = normal; 1 = slight swelling and erythema; 2 = pronounced edema; 3 = joint rigidity. Each limb was graded, resulting in a maximal clinical score of 12 per animal. The arthritis was monitored over 10 days, after which the mice were killed (21). Induction and Monitoring of Homologous CIA. Mouse CII was purified from sternal cartilage from female DBA/1 mice, as described for bovine CII. For the chronic experiments, 6-week-old mice were immunized with mouse CII (100 μg) in complete Freund's adjuvant. The animals were boosted 15 days later with 100 μg CII i.p. From day 30 after immunization onward, 80% of the mice developed a chronic relapsing arthritis, which was monitored for 5 weeks as described above. CBD treatment commenced at the first clinical signs of arthritis and was administered i.p. daily until day 10 of arthritis. The CBD concentrations used were 20 mg/kg (n = 12), 10 mg/kg (n = 17), 5 mg/kg (n = 15), and 2.5 mg/kg (n = 9). CBD was dissolved in ethanol/cremophor (Sigma) (1:1, vol/vol) and further diluted in saline, so that the final solution was ethanol/cremophor/saline (1:1:18). Mice injected with vehicle alone (ethanol/cremophor in saline) served as controls (n = 23). For the oral treatment protocol, CBD was dissolved in olive oil and administered by oral gavage, daily, from the onset of arthritis for 10 days. The doses used were 10 mg/kg, 25 mg/kg, and 50 mg/kg (n = 6 per group). Control mice were fed olive oil (n = 6). For the chronic experiments, mice were treated from the first symptoms of arthritis for 5 weeks. For the i.p. route, CBD was injected daily at 10 mg/kg (n = 7) or 5 mg/kg (n = 7). Again, mice injected with vehicle alone served as controls (n = 7). For the oral route, the treatment was administered daily (Monday to Friday) at a dose of 25 mg/kg (n = 6) and control mice were fed olive oil (n = 6). At the end of each experiment, hind paws were removed postmortem, fixed in formalin, and decalcified in 5% EDTA. The paws were embedded in paraffin, sectioned, and stained with hematoxylin and eosin. Arthritic changes in the foot joints were scored as mild (mild synovial hyperplasia), moderate (pannus formation and erosions limited to the cartilage-pannus junction), or severe (extended bone and cartilage erosions with loss of joint architecture). All assessments were performed by an observer blinded to the treatment received. Lipopolysaccharide (LPS) Induction of Serum TNF in Mice. Female C57BL/6 mice were injected i.p. with a sublethal dose of LPS (100 μg, Escherichia coli O55:B5, Difco). CBD was injected simultaneously, either i.p. or s.c., at a dose of 10 mg/kg. Ninety minutes later, the mice were bled and serum TNF levels were determined by bioassay. Reactive Oxygen Intermediate Production by Mouse Granulocytes. C57BL/6 mice were injected i.p. with 1.5 ml thioglycollate (Difco), and 18 h later the cells were harvested by sterile lavage with PBS. The cells were washed and resuspended in Hanks' balanced salt solution without phenol red, and 0.5 ml of the cell suspension was added into luminometer tubes. CBD (dissolved in ethanol) was added at this point at a final concentration of 6 μg/ml. Finally, 10 μl Luminol (Sigma) and 30 μl Zymosan (Sigma) were added, and the chemiluminescence was measured immediately in a luminometer (Biolumate LB 95, Berhold, Wildbad, Germany). Preparation of CBD for in Vitro Experiments. CBD was dissolved in ethanol at a stock concentration of 10 mg/ml and stored at 4°C for up to 2 months. CBD stock was further diluted in warm medium immediately before use. All tissue culture media, vehicle control, and CBD preparations were shown to contain less than 0.1 unit/ml endotoxin, as assessed by the chromogenic Limulus Amebocyte Lysate assay (BioWhittaker). At the end of all in vitro experiments described below, viability of the cells was assessed with a 3-(4,5-dimethylthiazol-2-yl)-2,5-diphenyl tetrazolium bromide test (25). Pooled spleens from 10-week-old DBA/1 mice were pushed through a sieve and a single cell suspension was prepared. The cells were washed, layered over a Lympholyte-M density gradient (Cedarlane Laboratories), and spun at 2,000 rpm for 45 min. The buffy coat containing lymphocytes was washed three times and then plated at 2 × 105 cells/100 μl per well in complete medium comprising DMEM supplemented with 10% heat-inactivated FCS, 1% glutamine, 100 units/ml penicillin, 100 mg/ml streptomycin, and 2 × 10−5 M 2-mercaptoethanol. Cells were stimulated with 5 μg/ml Con A in the presence of 0–10 μg/ml CBD. After 72 h, cells were pulsed with 0.5 μCi/well [3H]thymidine (Amersham Pharmacia) overnight, harvested, and assessed for incorporation of radioactivity. Draining Lymph Node Cell (LNC) Culture. Mice (controls or CBD-treated) were killed at day 3 after disease onset, and inguinal LNCs were cultured as described. Cells were cultured with or without bovine CII (50 μg/ml) in Tris-buffered saline, pH 7. Supernatants were collected after 72 h and stored at −20°C until cytokine measurement. Alternatively, after 72 h, cells were pulsed with [3H]thymidine overnight and assessed for incorporation of radioactivity. Culture of Murine Synovial Cells. Mice (control mice or CBD-treated) were killed at day 10 of arthritis and the knee joints were removed. Synovial cell cultures were performed as described (27). Briefly, synovial membranes were excised under a dissecting microscope and digested with 1 mg/ml collagenase A and 0.15 mg/ml DNase type IV in the presence of 33 μg/ml polymyxin B. The cells then were washed extensively and cultured in 96-well plates at a density of 2 × 106 cells/ml (100 μl/well) in complete medium with or without CBD at specified concentrations. Supernatants were collected after 24 h and stored at −20°C until measured for TNF. For determination of bioactive TNF levels, an assay was performed by using the WEHI 164 cell line (28), as described (29), or BALB/c CL.7 cells, as described (24). IFN-γ levels were measured by sandwich ELISA. The capture/detection antibody pair used was R4–6A2 (obtained from the American Type Culture Collection, courtesy of J. Abrams) and hamster mAb 1222–00 (Genzyme). Systemic Administration of CBD Has a Dose-Dependent Therapeutic Effect on CIA. CBD at the doses of both 20 mg/kg per day and 10 mg/kg per day had a slight therapeutic effect on CIA, whereas the lower dose of 5 mg/kg caused an optimal suppression of disease (Fig. 1A). The therapeutic action of CBD was lost when the dose was further lowered to 2.5 mg/kg per day. The dose-dependent effects of CBD were confirmed in the homologous CIA model, a chronic relapsing arthritis with a clinical pattern that more closely resembles human disease. Thus, the clinical score in these mice typically goes up and down for several weeks. 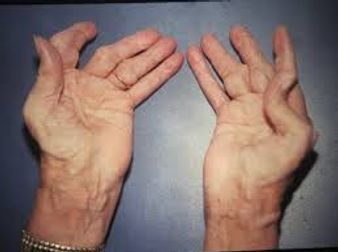 Overall, the arthritis is chronic relapsing and progressive (30, 31). It was found that 5 mg/kg i.p. CBD was optimal in suppressing the arthritis (Fig. 1B). The area under the curve, which reflects overall disease severity over 28 days, was 38.4 in the controls and 37.3 in the 10 mg/kg group and was reduced to 28.9 in the 5 mg/kg-treated group. CBD treatment caused no obvious side effects in these mice. From the first clinical signs of arthritis, mice were treated daily with CBD, i.p. at the following doses: 20 mg/kg (■), 10 mg/kg (▵), 5 mg/kg (▴), or 2.5 mg/kg (○). Mice treated with the vehicle alone served as controls (□). Each point is the mean of n mice ± SEM. (A) Shown is the clinical score over 10 days of classical CIA in three pooled experiments (controls, n = 23; CBD 20 mg/kg, n = 17; CBD 10 mg/kg, n = 15; CBD 5 mg/kg, n = 15; CBD 2.5 mg/kg, n = 9). * denotes a P value < 0.05 (Mann–Whitney U test). (B) An experiment in chronic relapsing homologous CIA, where control, n = 6; CBD 10 mg/kg, n = 6, and CBD 5 mg/kg, n = 6. The area under the curve was 38.4 for the control group, 37.3 for the 10 mg/kg group, and 28.9 for the 5 mg/kg group (not significant). Oral Administration of CBD Has an Equally Potent Therapeutic Effect on Established Arthritis. Daily oral gavage of CBD immediately after onset of arthritis resulted in suppression of acute CIA (Fig. 2A). The optimal dose was 25 mg/kg, although the higher dose of 50 mg/kg worked almost as well. The 25 mg/kg dose was used in a chronic experiment in homologous CIA and was shown to effectively suppress progression of disease over a study period of 4 weeks (Fig. 2B). The area under the curve was reduced from 72.3 in the controls to 49.7 in the treated animals (P < 0.05). From the first clinical signs of arthritis, mice were given CBD by oral gavage, at the following doses: 50 mg/kg (▵), 25 mg/kg (▴), or 10 mg/kg (○). Mice treated with olive oil served as controls (□). Each point is the mean of n mice ± SEM. (A) Shown is the clinical score over 10 days of classical CIA (controls, n = 6; CBD 50 mg/kg, n = 6; CBD 25 mg/kg, n = 6; CBD 10 mg/kg, n = 6). * denotes a P value < 0.05 (Mann–Whitney U test). (B) An experiment in chronic relapsing homologous CIA, where control, n = 6 and CBD 25 mg/kg, n = 6. The area under the curve was 72.3 for the control group and 49.7 for the CBD-treated group (P < 0.05, Mann–Whitney U). Effect of CBD on Joint Damage. Joints in the hind paws of control mice and mice treated with CBD were assessed for hyperplasia and destruction. Table 1 shows the results in acute CIA. First, in the i.p. experiments none of the control mice had normal feet, whereas 34% of the feet in mice treated with 5 mg/kg CBD were completely protected. Sixty nine percent of all of the feet in the control mice were moderately or severely affected (31% and 38%, respectively), whereas in mice treated with 5 mg/kg CBD this was lowered to 40% (20% in each category). For the oral treatment protocol, it was found that 25 mg/kg was the optimal dose. Although no normal feet were found in this treatment group, only 25% were severely affected, as compared with 75% in the controls and 50% in the 50 mg/kg group (Table 1). Thus, the histological findings confirm that CBD at an i.p. dose of 5 mg/kg or an oral dose of 25 mg/kg has an optimal therapeutic effect on acute CIA. Those optimal doses, when tested in the chronic model, gave a good protection against histological damage as well (Table 2): 5 mg/kg CBD i.p. and 25 mg/kg CBD orally increased the number of normal hind paws to 30% and 36%, respectively, as compared with 0% in both control groups. It should be noted that the lesions in this model are generally less severe. Spontaneous TNF Release by Synovial Cells from Arthritic Animals Is Suppressed After CBD Treatment. The synovium is the most critical site of cytokine production in arthritis, and synovial cells from arthritic mice at day 10 are known to spontaneously produce large amounts of TNF when cultured in vitro (26). Synovial cells were taken from control arthritic mice and mice that had been treated with 5 mg/kg i.p. CBD at day 10 of arthritis. It was found that synovial cells from CBD-treated mice released significantly less TNF when cultured in vitro (Fig. 3). The results in Fig. 3 are from cultures with standardized cell numbers, thus the in vivo local TNF levels must be a lot lower in the treated animals, which had fewer cells in their synovium (Fig. 3). As a comparison, TNF release by synovial cells taken from healthy age-matched nonimmunized mice was included in Fig. 3. Synovial cells were isolated from arthritic mice at day 10 of arthritis, either from control mice or mice treated with CBD, 5 mg/kg i.p. A control group of nonimmunized age-matched mice was included. Total cell number per synovial membrane was on average 50% reduced in the CBD-treated mice compared with the arthritic controls. Cultures were standardized for cell numbers. Supernatants were assessed at 24 h for bioactive TNF by the Walter and Eliza Hall Institute assay. Each dot is the mean of triplicate cultures from one individual mouse, the dots marked with * are a pool of three mice. Thus in total 10 mice per treatment group were tested. Five healthy mice were tested. The horizontal bar is the median. CBD Treatment Suppresses ex Vivo LNC Proliferation and IFN-γ Production. Draining LNCs from mice on day 3 of arthritis, both control mice and CBD-treated mice (5 mg/kg per day i.p.) were stimulated in vitro with bovine CII. Table 3 shows the antigen-specific cell proliferation and IFN-γ production. It was found that CBD treatment attenuated cell proliferation (unstimulated proliferation, and to a greater extent CII-specific proliferation) and CII-specific IFN-γ release. CBD Blocks Mitogen-Induced Lymphocyte Proliferation As Well As Antigen-Specific LNC Proliferation. Purified lymphocytes from spleens from 10-week-old DBA/1 mice were stimulated with Con A, in the presence of increasing concentrations of CBD (0–10 μg/ml). Fig. 4A shows a dose-dependent suppression of Con A-induced proliferation. This finding was reproduced with lymphocytes from C57BL mice, indicating that the effect is not strain-dependent. Likewise, draining LNCs from control arthritic DBA/1 mice taken at day 3 of arthritis were stimulated in vitro with 50 μg/ml bovine CII in the presence of increasing CBD concentrations (Fig. 4B), and again, a dose-dependent suppression of cell proliferation by CBD was seen. (A) The effect of CBD on Con A-induced proliferation of splenic lymphocytes. (B) The effect of CBD on CII-specific proliferation of LNCs from arthritic mice. CBD was added in vitro at the concentrations shown for 72 h (□). For the control cultures, the vehicle (ethanol) was used at corresponding dilutions (○). Each point represents the mean ± SD of triplicate cultures. A is a representative experiment of five experiments and B of three experiments. CBD Suppresses the Production of Reactive Oxygen Intermediates by Granulocytes. Treatment of mouse granulocytes with 6 μg/ml CBD suppressed the production of Zymosan-induced reactive oxygen intermediates, as assessed by chemiluminescence (Table 4). The inhibitory effect was optimal when the granulocytes were pretreated with CBD before Zymosan stimulation. Systemic Administration of CBD Blocks LPS-Induced Serum TNF. High levels of serum TNF in C57BL/6 mice were measured by bioassay 90 min after i.p. injection of LPS. Simultaneous injection of CBD, either i.p. or s.c., effectively abrogated the rise in serum TNF (Table 5). Based on the reported analgesic and anti-inflammatory properties of cannabinoids, it was considered that these compounds might have anti-arthritic potency. The aim of the present study was to assess the therapeutic efficacy of CBD, a nonpsychoactive component of marijuana, in murine CIA as a model for RA. In the initial experiments, CBD was administered i.p. after the onset of clinical arthritis. It was found that CBD exerted a dose-dependent suppressive action, both on the clinical arthritis and joint damage (Fig. 1; Table 1). The dose dependency showed a bell-shaped curve, with the 5 mg/kg dose exerting an optimal therapeutic effect, whereas both the lowest dose (2.5 mg/kg) and the highest dose (20 mg/kg) were inactive. Interestingly, the therapeutic action also was observed when CBD was administered orally and 25 mg/kg, not the highest dose tested, was most effective. The same therapeutic protocols subsequently were performed in homologous CIA, a chronic relapsing form of CIA with a disease pattern that resembles human disease better (30, 31). Again, we found an optimal amelioration of clinical disease and joint damage for CBD, 5 mg/kg i.p. or 25 mg/kg orally. The clinical anti-inflammatory effect with 5 mg/kg i.p. was not statistically significant, but histological evaluation showed a significant protection of the joints. We do not have an explanation for the bell-shaped dose dependency, but such behavior has been repeatedly described for cannabinoids (32). CBD was found to exert a potent immunosuppressive effect both in vivo and in vitro. LNCs from mice treated with CBD showed a diminished CII-specific proliferation and markedly diminished IFN-γ release (Table 3). In independent in vitro experiments, it was found that CBD suppressed the CII-specific proliferation of LNCs from arthritic mice in a dose-dependent manner, and it also suppressed Con A-induced proliferation of purified lymphocytes. Synovial cells from mice that had been treated with an optimal dose of CBD (5 mg/kg per day i.p. for 10 days) released significantly less TNF when cultured in vitro than synovial cells from control animals (Fig. 3). This finding suggests that the therapeutic actions of CBD include the suppression of TNF-α, a proinflammatory cytokine known to be a major mediator of arthritis. This was corroborated by the finding that CBD, when injected i.p. or s.c at a concentration of 10 mg/kg, blocked LPS-induced serum TNF in C57BL/6 mice (Table 5). Nevertheless, we could not find suppression of TNF release by arthritic synovial cells when CBD was added in vitro (not shown), nor could we demonstrate in multiple attempts that CBD suppressed TNF release by mouse bone marrow-derived macrophages or RAW cells (data not shown). This discrepancy between in vivo and in vitro results suggests that the TNF suppression, which is observed in vivo after administration of CBD, might be mediated by an active metabolite of CBD. Another possibility is that the decreased TNF expression in vivo is an indirect consequence of a suppressed T helper 1 response. Thus, the anti-arthritic potency of CBD seems to be the result of a combination of immunosuppression, especially of a T helper 1 response and an anti-inflammatory action by way of reducing TNF in the synovium, a combination that has proven successful in the past when anti-IL-12 and anti-TNF were combined to treat CIA. Apart from these major effects, we also have demonstrated other in vitro anti-inflammatory actions of CBD that may contribute to its anti-arthritic potency, such as the inhibition of the release of reactive oxygen species by Zymosan-stimulated neutrophils (Table 4 and ref. 34). We also observed the blockade of NO production by peritoneal macrophages (not shown), as reported in the literature. Cannabis has a long history as a medicinal preparation, mainly for properties such as analgesia, antiemesis, ocular hypotension, and anticonvulsion (reviewed in ref. 35). Recent research in vitro and in animal models has led to increasing evidence that cannabinoids are also important modulators of the immune system and thus could have a role in the treatment of chronic inflammatory diseases, were the development of clinical trials not hampered by legal obstacles. It is therefore important to find out whether nonpsychoactive cannabinoids are suitable for treating chronic inflammatory disease. A recent report describes the effect of a nonpsychoactive synthetic derivative from tetrahydrocannabinol (THC), dimethylheptyl-THC-11-oic acid, in adjuvant arthritis in rats . The authors found that the compound reduced the severity of arthritis when administered from immunization onward (i.e., in a preventive protocol). The present study shows that CBD, a natural constituent of marijuana, is effective as an anti-arthritic therapeutic in established CIA. Its efficacy when given orally renders it an attractive candidate for the treatment of RA. The experiments in the chronic CIA model show that prolonged treatment with CBD does not induce tolerance, a phenomenon often observed with cannabinoids. Moreover, clinical trials with CBD have been conducted in humans with epilepsy and Huntington's disease, and it was found that chronic oral administration of CBD, up to 10 mg/kg per day for 6 weeks, had no side effects. Interestingly, one paper describes that feeding 300 or 600 mg CBD to healthy human volunteers resulted in elevated plasma cortisol levels, yet another factor that may contribute to its anti-inflammatory/immunosuppressive actions. All of this suggests that CBD may be valuable in the treatment of other chronic inflammatory diseases as well. Indeed, preliminary studies indicate that CBD is able to delay and attenuate experimental allergic encephalomyelitis in mice (R.G. and H. Ovadia, unpublished observations) as well as inflammatory bowel disease in IL-10 knockout mice (T. Sheinin and M.F., unpublished observations). The results presented here leave a number of questions to elucidate in the future. First, is CBD solely responsible for the anti-arthritic effects in vivo or is there an active metabolite involved? Second, via which receptor does CBD exert its effects? Two receptors for cannabinoids have been identified, the brain receptor, CB1, and the peripheral cannabinoid receptor, CB2, which is present on T and B lymphocytes, natural killer cells, and macrophages. The affinity of CBD for the cannabinoid receptors is very low, lower than that of the other cannabinoids. The possibility that CBD, because of its lipophilicity interferes with cell membranes, thus altering their functions, or that a metabolite acts on the CB2 receptor, cannot be ruled out. These questions should be the subject of future studies. We thank Paul Warden and the staff of the Kennedy Institute of Rheumatology Biological Services Unit, Professor R. N. Maini for helpful advice, and Philip Connolly for preparation of the histological sections. The work was funded by the Arthritis Research Campaign of Great Britain. A.M.M. and R.G. contributed equally to this work. To whom reprint requests should be addressed. E-mail: m.feldmann@ic.ac.uk. See commentary on page 9363. Article published online before print: Proc. Natl. Acad. Sci. USA, 10.1073/pnas.160105897. (1980) J Nat Prod 43:169–234, pmid:6991645. (1986) Pharmacol Rev 38:75–149, pmid:3018800. (1992) in Marijuana/Cannabinoids: Neurobiology and Neurophysiology, eds Murphy L, Bartke A(CRC, Boca Raton, FL), pp 1–33. (1998) Immunol Today 19:373–380, pmid:9709506. (1990) Int J Immunopharmacol 12:261–267, pmid:2158486. (1991) J Toxicol Environ Health 32:465–477, pmid:1850002. (1993) in Drugs of Abuse, Immunity, and Immunodeficiency, ed Friedman H(Plenum, New York), pp 93–105. (1995) J Pharmacol Exp Ther 273:1216–1223, pmid:7791094. (1996) Biochem Pharmacol 52:743–751, pmid:8765472. (1991) Int J Immunopharmacol 13:1091–1097, pmid:1667651. (1981) Toxicol Appl Pharmacol 58:118–131, pmid:6262948. (1980) Nature (London) 283:666–668, pmid:6153460. (1985) J Exp Med 162:1105–1110, pmid:3928802. (1988) J Immunol 140:1477–1484, pmid:3257978. (1996) Eur J Immunol 26:1511–1514, pmid:8766554. (1992) Proc Natl Acad Sci USA 89:7375–7379, pmid:1502148. (1992) Proc Natl Acad Sci USA 89:9784–9788, pmid:1409699. (1971) J Am Chem Soc 93:217–224, pmid:5538858. (1990) Cancer Immunol Immunother 31:86–92, pmid:2322937. (1986) J Immunol Methods 94:57–61, pmid:3782817. (1998) Clin Exp Immunol 111:377–383, pmid:9486407. (1997) J Immunol 159:2867–2876, pmid:9300710. (1986) J Immunol Methods 95:99–105, pmid:3782828. (1994) Eur J Immunol 24:2040–2048, pmid:8088324. (1986) Arthritis Rheum 29:106–113, pmid:3947407. (1987) Ann Rheum Dis 46:691–700, pmid:3675011. (1998) Pharmacol Biochem Behav 59:347–353, pmid:9476980. (1999) Eur J Immunol 29:2205–2212, pmid:10427983. (1998) Proc Natl Acad Sci USA 95:8268–8273, pmid:9653176. (1998) Progr Med Chem 35:199–243, pmid:10795402. (1998) Arthritis Rheum 41:163–170, pmid:9433882. (1997) J Neuroimmunol 80:143–148, pmid:9413270. (1991) Pharmacol Biochem Behav 40:701–708, pmid:1839644. (1993) Brazil J Med Biol Res 26:213–217, pmid:8257923. (1988) Mol Pharmacol 34:605–613, pmid:2848184. (1993) Nature (London) 365:61–65, pmid:7689702. (1998) J Pharmacol Exp Ther 285:285–292, pmid:9536023.